The political and civil rights revolutions of the 1960s brought hope that the promise of Jackie Robinson might be fulfilled. 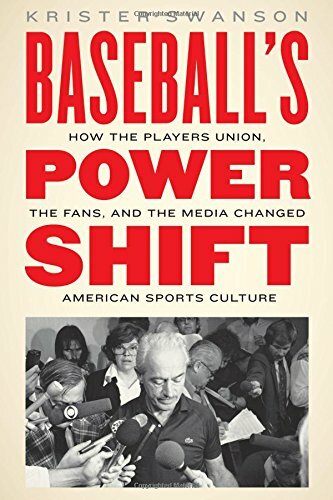 Baseball players found themselves involved in social change, even as they perpetuated the myth of simple baseball tradition. This was especially true during the upheavals of the '60s and '70s. And not only for African American players, but also for all players who languished under a paternalistic system of contract labor dictated by team owners. These changes would also require a break from tradition, and an embrace of social change. For the Dodgers of the '60s, baseball was a ticket to stardom beyond the game. When New York City's master planner Robert Moses thwarted Dodger owner Walter O'Malley's plan for a domed stadium in Brooklyn, "Dem Bums" moved to Los Angeles in 1958 and became Hollywood darlings. The '60s provided a chance for some Dodgers players to attain baseball success, but also the stardom that television and motion pictures had cultivated in Southern California. 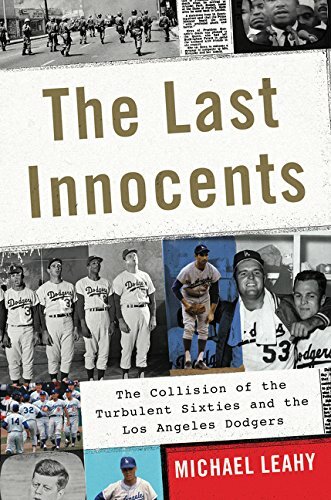 These players were confronted by the anxiety of keeping their job—a place on the team—while also responding to the shifting world around them, as Michael Leahy shows in The Last Innocents: The Collision of the Turbulent Sixties and the Los Angeles Dodgers. For Maury Wills, his breakout season in 1962 led to a National League Most Valuable Player award. More important, it meant he had secured the job of starting shortstop on the Los Angeles Dodgers. He could count on traveling with the big league club and staying in a better dormitory during Spring Training at Dodgertown in Vero Beach, Florida. But Wills—an African American who signed with the Dodgers after a personal appeal from his hero Jackie Robinson—would remain a second-class citizen in Florida as well as Los Angeles. Despite his league-leading statistics and exciting, speed-based play, Wills would have to live in a less desirable neighborhood in South Los Angeles. And even with his MVP award, he would still be subject to a paternalistic and condescending contract negotiation each off-season. Wills became a leader on Dodgers squads that would contend throughout the 1960s. But despite his internal pep talks, he often caved at the prospect of hardline negotiations with Dodgers General Manager Buzzie Bavasi. The Dodgers negotiator took great pride in his manipulative tactics, including press leaks and fake contracts, intentionally left around his office for other players to see. If a player saw the low payroll that star players were offered on these bogus agreements, he was likely to sign for a lowball figure. And team control could get personal. Wills attracted the attention of all-American star Doris Day. Even though both of them were married, a romance blossomed. When the Dodgers found out about it, Bavasi forced Wills to end it. 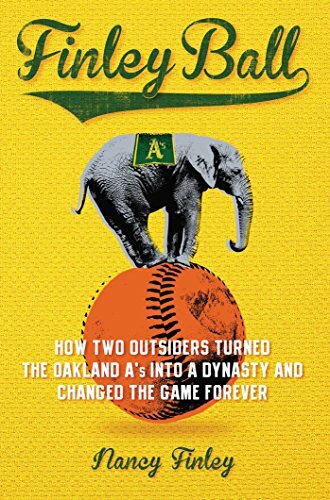 Wills had success, but the traditional power structure of baseball kept him in his place. As the Watts riots erupted in August 1965, Angelenos found an escape from reports of the violence by heading to Dodger Stadium to cheer on their first-place team. For some of the Dodgers players, their safety after the game was not guaranteed. Catcher Jeff Torborg drove through the city with a shotgun in the back seat. And for most black players, including Wills, John Roseboro, and Lou Johnson, their homes were in the riot zone. Wills spent his hours away from the ballpark sitting in the parking lot of "Maury Wills Stolen Base Dry Cleaners" to ward off any looters who might take their frustration out on his business. The Dodgers had a reputation for promoting black players, largely due to their commitment to Jackie Robinson and his national prominence. Yet the culture in Southern California was still governed by the color line and racial tensions with the Los Angeles Police Department that would linger for decades. The riots calmed down on August 17, 1965 after six days of violence that left 34 dead and more than $40 million in property damage. The Dodgers departed for a pivotal series with the rival Giants in San Francisco. 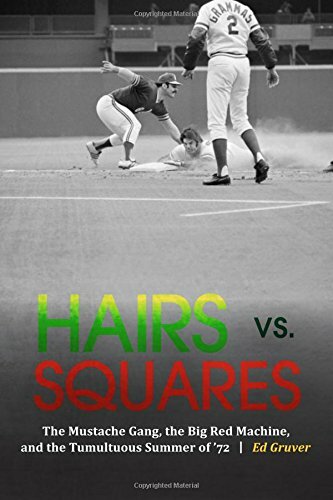 On Sunday, August 22, in the final game of the series, a matchup of aces Sandy Koufax and Juan Marichal turned ugly as brushback pitches knocked down batters from both teams. Despite an umpire's warning, when Marichal came to bat, Dodgers catcher John Roseboro buzzed his ear with a throw back to Koufax on the mound. An incensed Marichal repeatedly hammered his bat on the head of Roseboro. Dugouts emptied and a riot took place on the field. Roseboro and other Dodgers had firsthand knowledge of the frustrations of black Los Angeles citizens. But none of the players considered that the urban unrest had contributed to the incident. It was merely another chapter in the Giants-Dodgers rivalry.